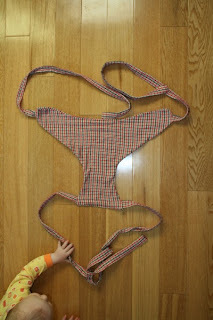 It's a little post today of a little sewing project I completed yesterday during nap time. 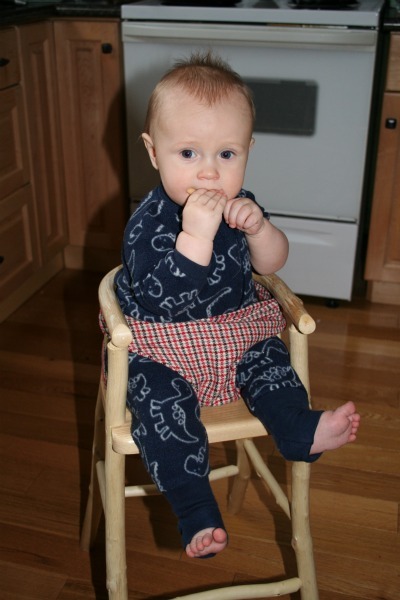 Up until now, I had been using the travel highchair to secure Mr. Monkey into this seat. Not anymore! 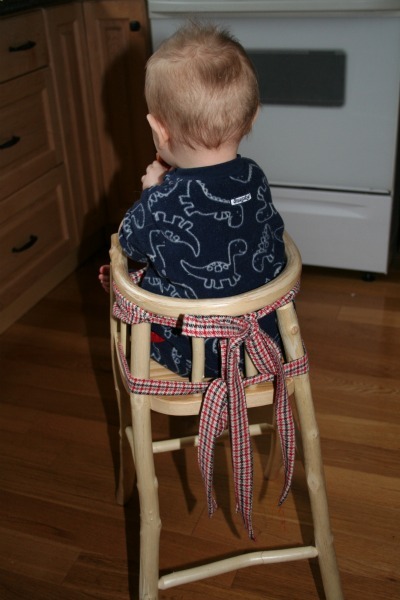 I used part of the original as a template for the new highchair strap. 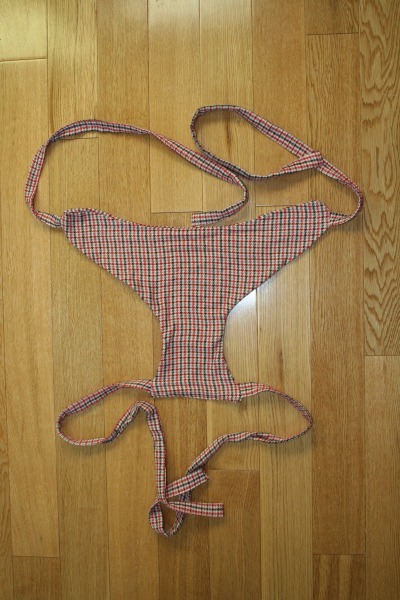 I bought the houndstooth fabric as a remnant a long time ago. I didn't have a project in mind, I just thought it was so darn cool.